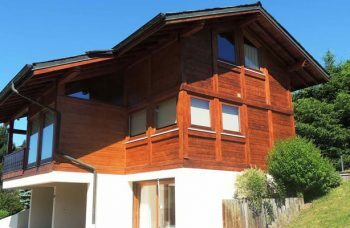 Excellent Detached 4 bedroom chalet For Sale close to the centre of Les Gets with a South facing balcony and South/West aspect balcony/terrace exterior dining area. 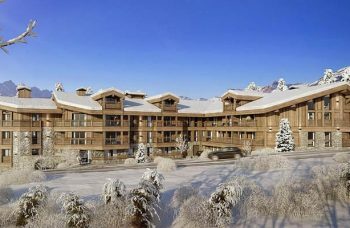 Highly rentable location: 250m walk to centre village and 450m walk to telecabines. 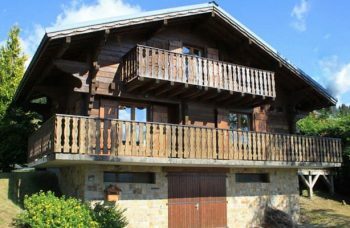 Very central 4 bedroom chalet in Les Gets from which you can walk to the centre for all amenities and the Mont Chery and Chavannes ski lifts. Ideal summer and winter location. Ideal family home and also very rentable location. New for sale.